Manasota Key is better known to most people in the area as Englewood Beach although the key extends through both Charlotte and Sarasota Counties. With breath-taking views, exceptional beach days year-round, and magnificent sights as far as the eye can see, Manasota Key is a paradise. 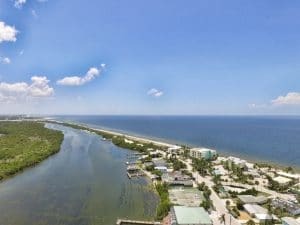 With many homes containing their own private beach, as well as the presence of the beautiful Florida sea animals and nature encompassing the area, you will see why Manasota Key Englewood Beach is a Southwest Florida paradise. Living in a beach community, there are plenty of things to do. Attractions such as Stump Pass State Park and the variety of stores, restaurants, and other activities will certainly enhance your active Florida lifestyle. Many restaurants located on the water have their own boat docks to help secure your water vessel safely. Visiting Manasota Key waterfront restaurants can be an exciting and enjoyable afternoon adventure. A variety of tours, and boat rentals on Manasota Key will help you enjoy the beach, Lemon Bay and the Florida lifestyle. Manasota Key Englewood Beach area real estate can fit many budgets. Homes and condos on the key are only steps from the beach or the bay. For more affordable properties, consider homes or condos in Rotonda West or Englewood proper. 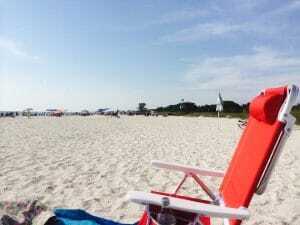 You will still be only minute to the beach but the cost is much lower. To get to Manasota Key Englewood Beach just take Hwy 776 to the intersection of Beach Road. From there it is just a minute to the beach. Once on the island you have a choice of several beautiful parks. The first one you will find is right there at the traffic circle. There is plenty of parking but the lot can fill up on a busy winter weekend. If you choose, you can turn left at the traffic circle and head south to Stump Pass Beach and State Park. You can park and go right to the beach or you can choose to stroll along the path farther south to the more secluded beaches. If you take the road north from the traffic circle you will enter Sarasota County, drive pass the opulent estates, some owned by celebrities, and you come upon Blind Pass Beach. And at the far north end of the island there is Manasota Beach. 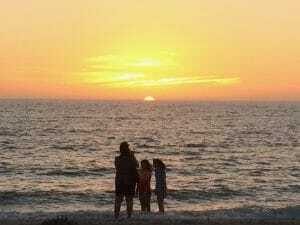 No matter which beach you choose, you will agree that these are among the most beautiful in the entire State of Florida. For more information or to request a report of properties in beautiful Manasota Key Englewood Beach, or Southwest Florida, please contact Jesse Ialuna with Suncoasteam Realty at 941-621-6739, or email: jesse@suncoasteam.com. You can also visit our website at suncoasteam.com.